As you know, you can access Siri by pressing the home button for 2 seconds. It can also be accessed through “Hey Siri” feature. If you own iPhone 5 or later, you can do it when your iPhone is charging. Meanwhile, for iPhone 6s, you can use “Hey Siri” feature anytime. This feature is helpful when your hands are busy and not be able to hold the iPhone. For example, you are cooking or your hands are not clean. 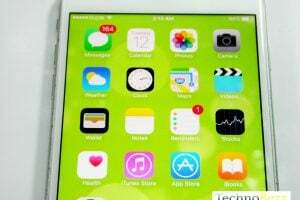 You can call Siri without making your iPhone dirty. 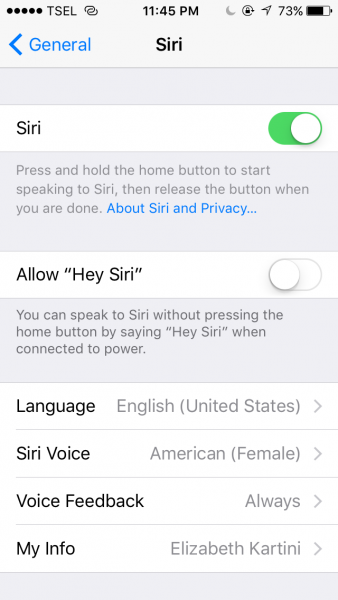 First, you need to enable “Hey Siri” feature on your iPhone, before using it. To do so, go to Settings >> Siri, and turn on Allow Hey Siri. You can ask Siri about the birthday of someone on your contact list. 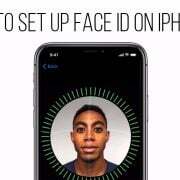 Mostly, the contact is connected to Facebook or Twitter. All you have to do is ask Siri: “When’s (name) birthday?”. Siri will inform you. 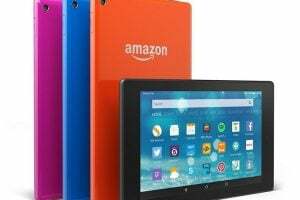 You can also ask about the interesting birthday gift for that person. Searching for photos is different than looking for a document because sometimes we have to search it one by one. Siri can help you find it by asking her specifically the photo you want to find. For example, “find my photo with my husband in Bali last year”. This feature is so helpful for me in reminding me of something I need to do. For instance, you got an SMS from your college, but you were in hurry to meet your boss. 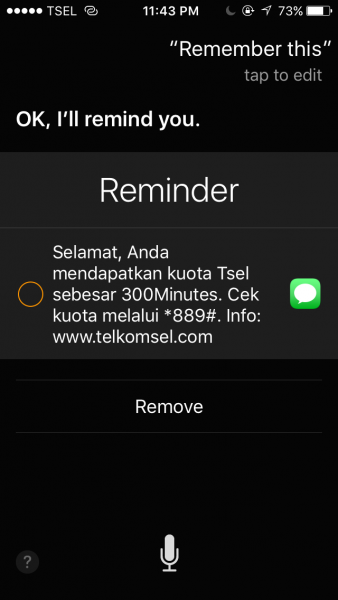 You can ask Siri to remind you about that SMS later. 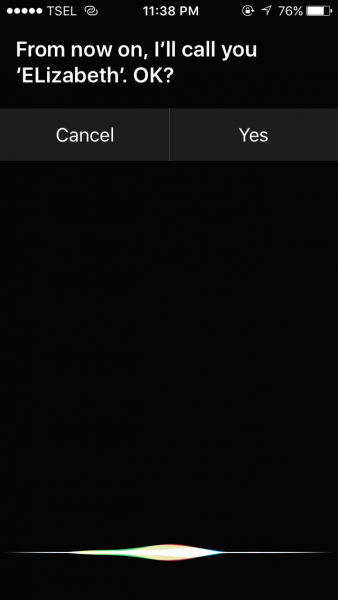 After you access Siri, say: “Remind me of …”, and Siri will add it to Reminders with a link back to not only the app but the specific content. 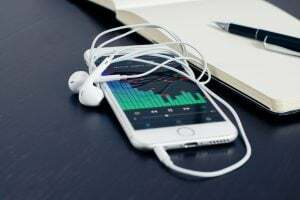 If you are driving a car and not using the headset, and have to call someone from your iPhone contact, Siri can help you to do that. For example, you can just say something like this:” Call my husband on speaker”. 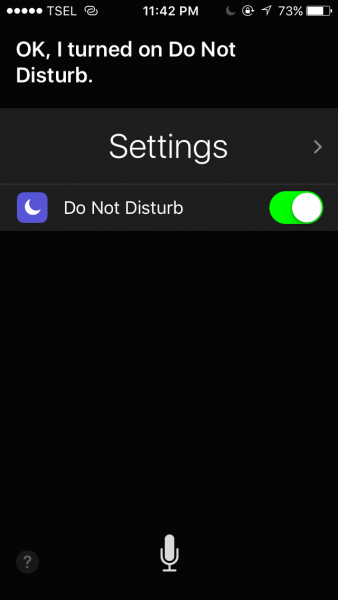 Enabling “Do Not Disturb” feature is not a big deal. But sometimes, when you are in your bed, for example, you feel too lazy to hold the iPhone. You can say: “Hey Siri, turn on do not disturb”, and she will activate Do Not Disturb feature. 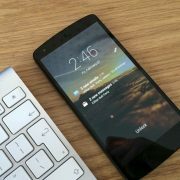 You can do the similar thing to enable Airplane mode. Siri can help you in doing the fast counting. Supported by Wolfram Alpha, Siri is able to answer the simple and even complicated math equations. 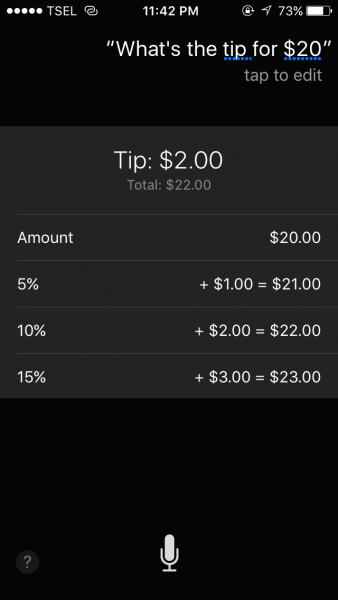 Instead of using a calculator, you can use Siri to calculate the restaurant tip percentage. You can ask Siri something like: “What’s the tip for $20?”. You can rely on Siri to find what’s trending today. 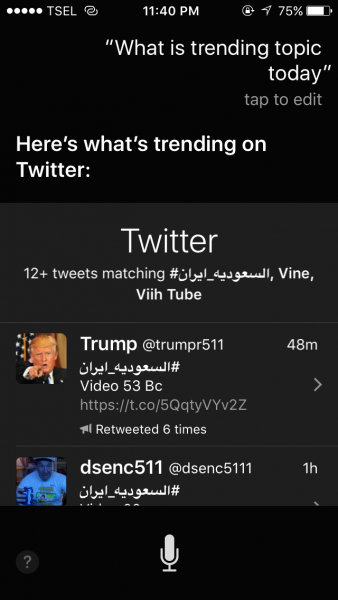 All you have to say is: “What’s trending topic today?”, and Siri will give you the Twitter trending topic. Isn’t great? Checking the fact is interesting and sometimes we need that. For instance: “Who starred in the Harry Potter?”. 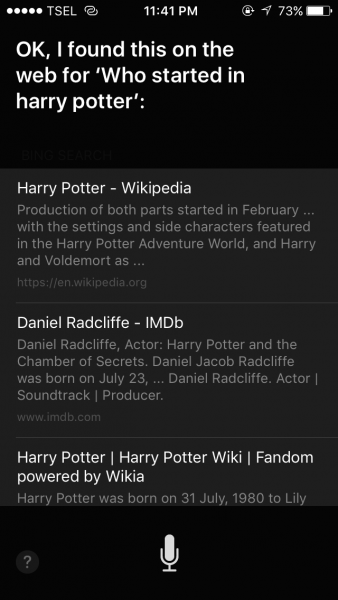 Siri will use Bing or Wikipedia to get that information.